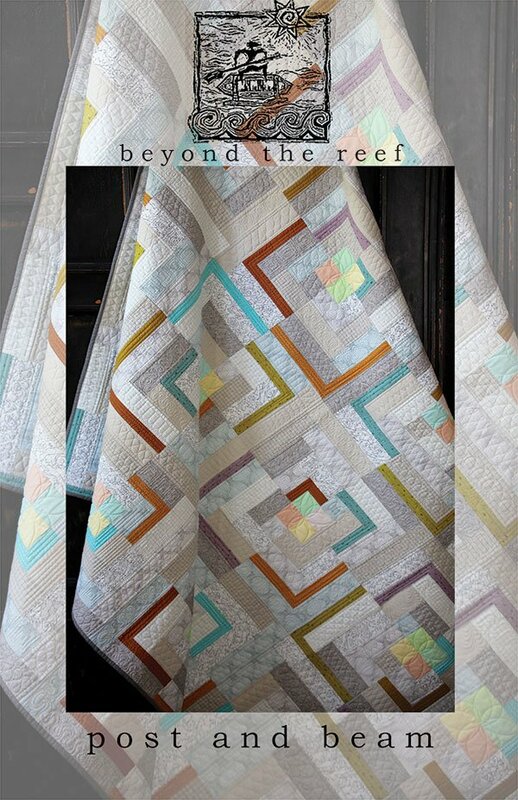 Post and Beam by Beyond the Reed Quilt Pattern BTR-044 Fat Quarter Friendly. Quilt and Runner included. Dining Runner 18 inches x 72 inches. Quilt 54 inches x 72 inches.